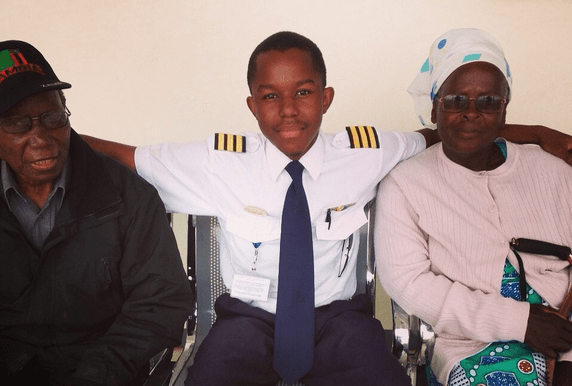 Kalenga Kamwendo- Zambia’s Youngest Pilot, Living the African Dream. 20th birthdays are often remarkable; a delightful elevation from teenage to adulthood. For many young people, it appears to be the official age to be admitted to the league of “big boys”, where you are qualified to take certain decisions, and probably own a horse. But For Kalenga Kamwendo it meant even more, he will always remember his 20th year as the year that gave wings to his humongous dream and launched him into the world of great possibilities. Born to Thomas and Mailes Kamwendo in Kitwe on the Copperbelt, Kalenga had his primary education at Nkana Trust School and his secondary education at Mpelembe, where he graduated in 2011. 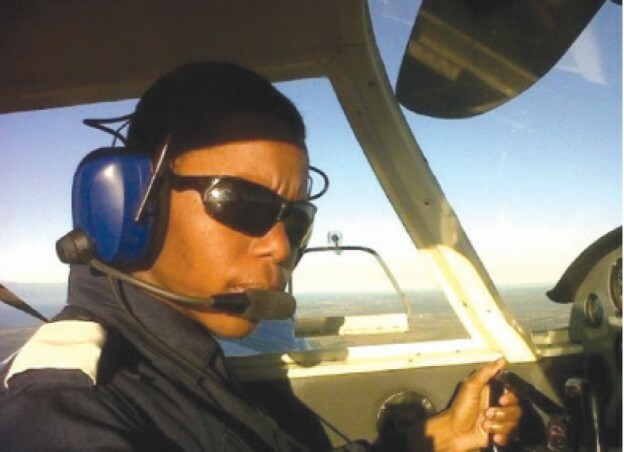 Growing up, he had the dream of becoming a successful engineer like his father, but his plans changed a few years later when he heard of the erroneous belief that Zambians could not become pilots, he was determined to set the record straight. And so he vowed to immerse himself in the workings of the aviation industry. He started researching and studying several aviation related texts and also asking questions whenever he found an opportunity, however little. Soon his interest grew significantly, to the point that his dreams where constantly flooded with exquisite pictures of airports, travelling people and flying objects; airplanes especially. And that was the cue he needed to pursue a degree in aviation. Thankfully, he was grounded in English, Maths and Physics, the three subjects that were a prerequisite for him to learn to fly. One of Kalenga’s many blessings at this time was the support from his parents. Although they thought of their son’s dream as very huge, yet, it was no reason for them to worry, instead they were encouraged to go all the way with him and strengthen his courage with an outpour of love and care. 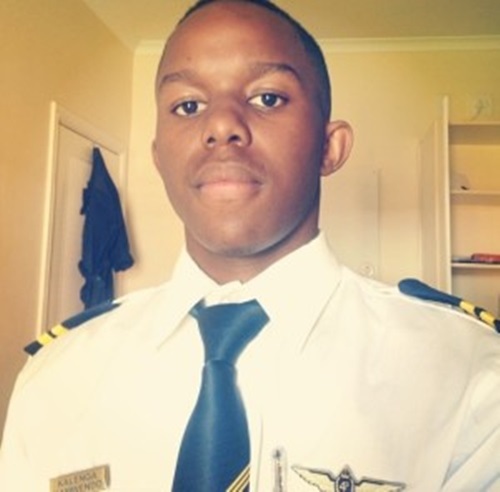 At 17, Kalenga was successfully enrolled at a reputable flying school called Forty Three Air School located in the small town of Port Alfred in South Africa’s Eastern Cape. There, he worked hard to maintain a comfortable position at the top, even though he was the youngest student in his class. Most of his classmates hated his audacity and often tried to disparage him, but Kalenga would never cringe. Instead it inspired him to strive even more courageously and determinedly towards his goal. In a year and three months, the genius graduated with his commercial aviation license, having flown 200 hours. The legal age for one to obtain a commercial pilot licence in Zambia is 18 and that was the exact age Kalenga got his, in 2013. Prior to this time, he had obtained his private pilot’s licence at the age of 17 and found it difficult to contain his joy at the time. 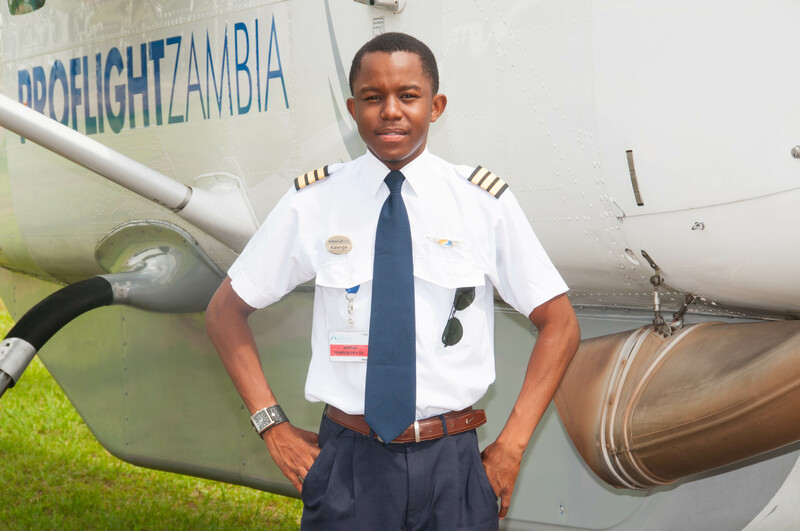 Now 21, the young pilot has flown to about 10 destinations both locally and internationally and is a proud member of the proflight Zambian flight crew. He is a first officer flying with captains across the airlines network. His employment was part of the company’s dedication to grow new talents and support Zambia’s youths. Kalenga has secured a comfortable spot for himself among the team of 36 pilots flying for proflight on routes from Lusaka to Livingstone, Ndola, Nfuwe, lower Zambezi, Solwezi, Kasama, and also across Lilongwe, Masa, Chipata in Malawi and Lubumbashi in DR Congo. He joined the airline in September 2014, having been given the job on August 16, which incidentally was his 20th birthday. Since joining Proflight, Kalenga has got over 500hours of flying time to his name. But you know, starting out is never without challenges. He remembers his first experience as a commercial pilot. Now who imagines that the sky can ever be the limit when there are several footsteps on the moon? If you aim beyond the sky and make commensurate efforts, in no time, you will go beyond the sky. Whatever you do, never stop dreaming and never stop trying. The next time people tell you that dreams hardly come true, be sure to gently put your right palm over their mouths and tell them all about Kalenga Kamwendo.